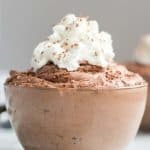 Chocolate Mousse | Easy Recipe for an Amazing Chocolate Dessert! 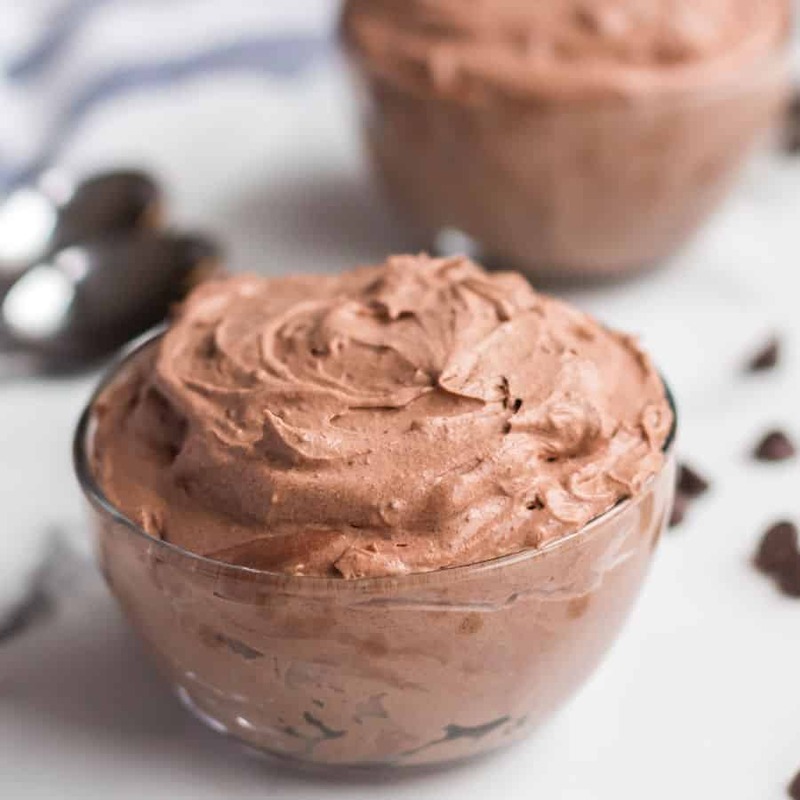 Thick and creamy homemade chocolate mousse made with just 4 simple ingredients, whipped into a perfectly fluffy chocolate dessert. 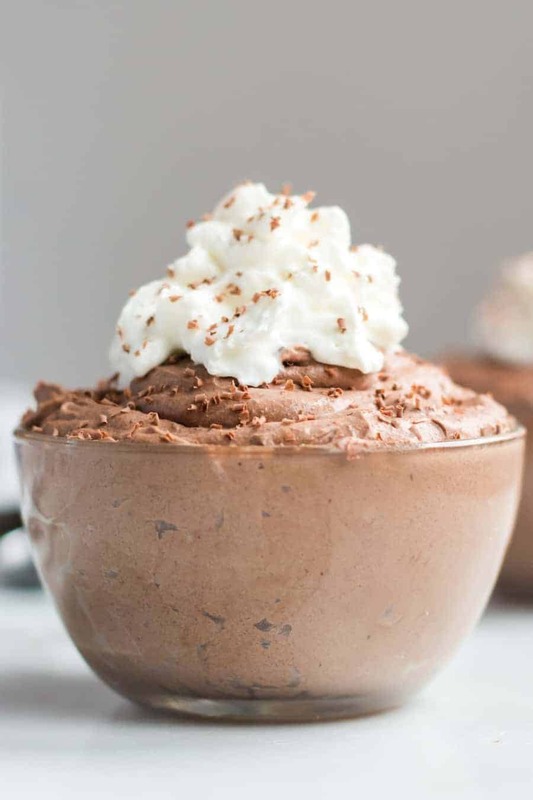 Chocolate mousse is one of my favorite desserts to make and eat because it’s just so fluffy. Plus, it’s chocolate! You also can’t beat how easy it is to make and how short the ingredient list is. Chocolate mousse is one of those desserts that seems to get forgotten about and not made as often as it should be. I love to make this chocolate dessert for special occasions because it just feels a little fancy while being so simple. This is a great chocolate mouse without eggs and without gelatin. 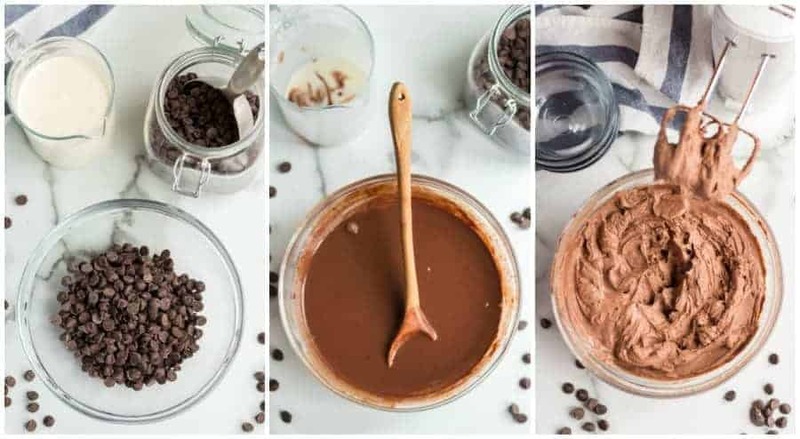 I feel like when it comes to mousse, keeping the ingredient list really simple is best. This is also a great recipe for kids to make. 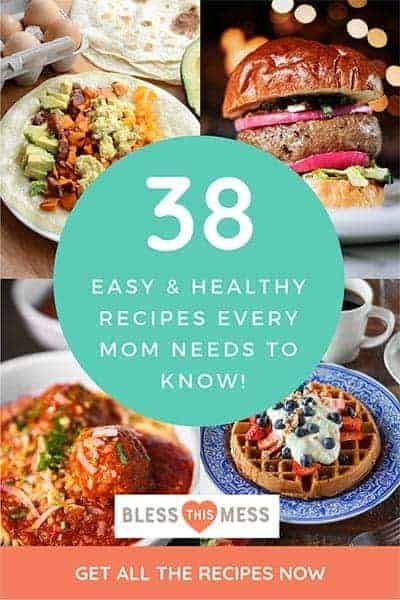 On Valentine’s Day, we love to do a candlelit dinner with the kids, and I make this with the younger kids during the day in preparation for the big night. Top it with more sweetened whipped cream, chocolate shavings, or even seasonal sprinkles to make your mousse festive. This is a great recipe to add a few colored sprinkles to for a holiday. Add a few red and pink heart sprinkles, and it’s an easy make-ahead dessert perfect for Valentine’s Day! Yes! It’s a great make-ahead dessert. I like to make it up to a day in advance. I don’t put it in the individual serving containers until a few hours before I plan on serving it, though. That way, if it needs a second quick whipping to return it to extra fluffy, it’s easy to do. Yes, if you like chocolate mousse ice cream. Don’t freeze this recipe if you are after the traditional cold mousse fluffy texture. Leftovers can be frozen though and then eaten like ice cream. If you freeze and then thaw this recipe, the texture never recovers and it isn’t great. I hope you find a reason to make this chocolate mousse recipe soon, special occasion or not! 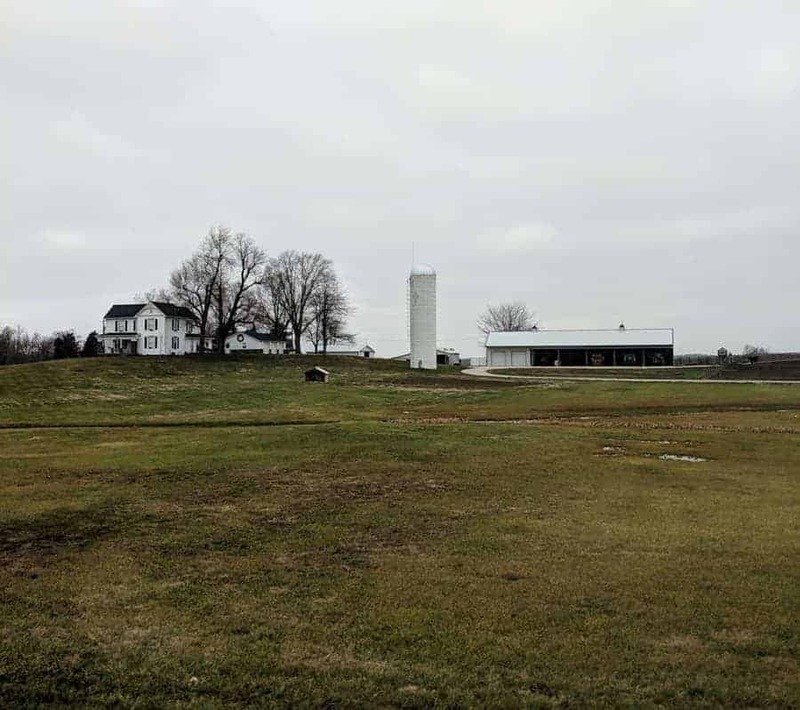 We drove by this farm in Kentucky while we were visiting my parents over the holidays. Isn’t it perfect? Can you see the little building in the very front? It’s a nativity scene. If we ever move from our farm, I’m planning on settling here. So idyllic isn’t it?! MELISSA! 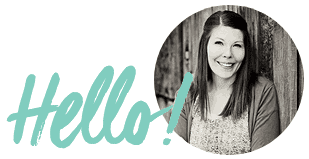 First of all i LOVE this blog!! 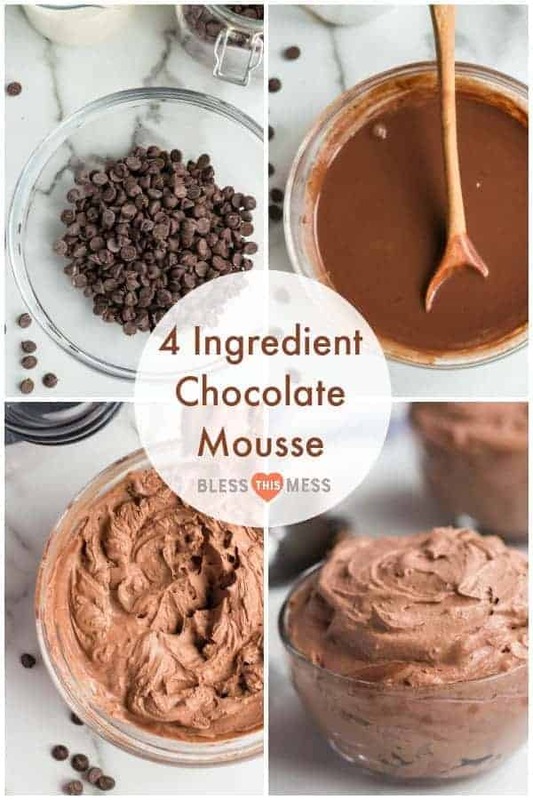 ANd SECOND of all I have been meaning to find a chocolate mousse recipe – i will definitely have to try this out!!! I’m so excited!! I made this for Valentine’s Day and it was so easy and delicious! Definitely a keeper. I may make this chocolate mousse again this weekend. Thanks for the recipe!